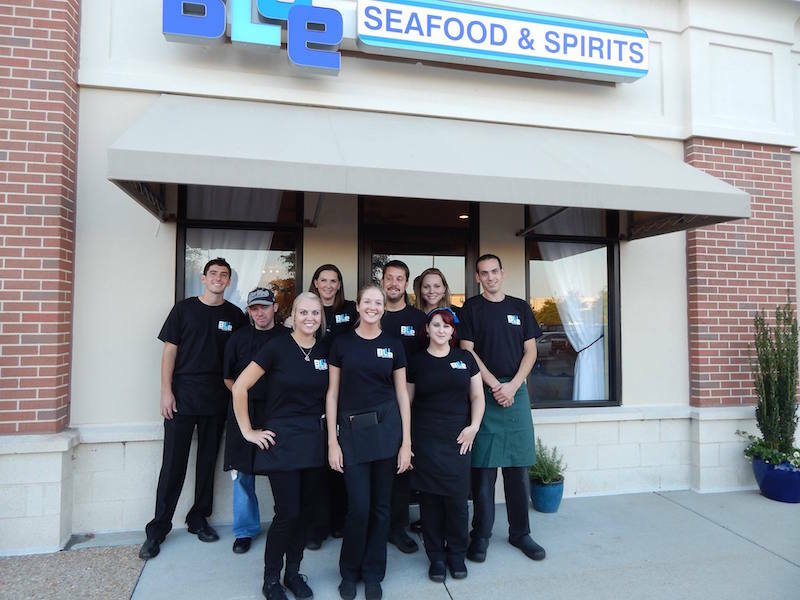 Since 2013, Blue Seafood & Spirits has been serving the freshest seafood available, along with local beers, signature drinks, and award-winning desserts. Our specialties include crab cakes, tempura fried shrimp, and seafood dishes based on our “Buy Fresh, Buy Local” philosophy. We believe using local ingredients makes a difference in not only freshness and quality, but also grows our small economy. We source fresh produce, seafood, hormone-free meats, and more from small, local businesses whenever possible. We also feature a growing selection of local beers, spirits, and wines. We happily accommodate special diets and our menu has something for everyone, including gluten-free and vegan options. Chef Charles Thain is a culinary graduate of Johnson and Wales University, and has over thirty years of kitchen experience. His career started as a head chef in Ocracoke Island, North Carolina. He later moved to the Eastern Shore of Virginia where he became the chef and owner of the Eastville Inn, and helped a friend open the Island House restaurant in Wachapreague. 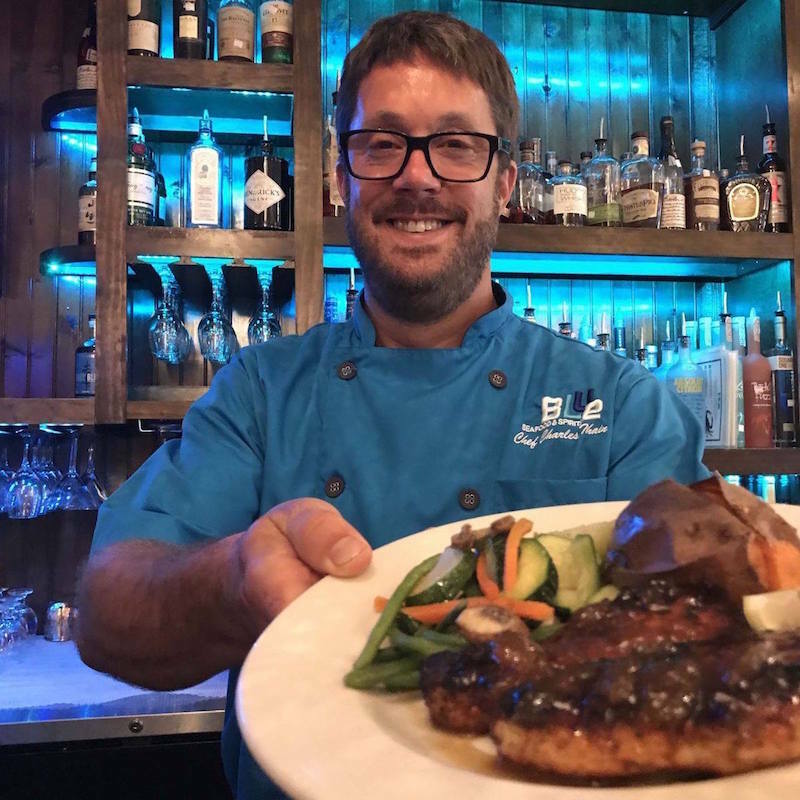 In 2013, Chef Charles moved to Virginia Beach and opened Blue Seafood & Spirits with his wife, Shannon, and business partner and sous chef, Joe Dolsey. Blue is closed every Sundays and Mondays, as well as all major holidays. Putting family first is an important value to Chef Charles, and has helped to make Blue a success. When he isn’t at the restaurant, you can find him spending time with his wife and twin boys, and hunting on the Eastern Shore in the fall and winter. Subscribe to get notified about updates and special events!